I recently received the Mega Centurion in the mail from my PR contacts at Nerf, and in amongst the package was a small information pamphlet that is pictured above. Inside a couple of features, targeted release times, and prices are listed for the Elite Rapidstrike CS-18, the Mega Centurion, and the Vortex Revonix 360. At this point, I’m just glad that the Rapidstrike is confirmed for a USA Fall release. The Rapidstrike CS-18 and Vortex Revonix360 will retail for $39.99 at most stores, while the Mega Centurion will retail for $49.99 at most stores. Nerf Club Philippines, the source of the above photo and the news of the Rapidstrike being released in the Philippines, recently took to Facebook to update us on the stock over there. According to a salesperson at Toy Kingdom SM Megamall, the N-Strike Elite Rapidstrike CS-18 was not sold out two weeks ago. All units were pulled out of the shelves because someone screwed up royally and jumped the gun on the intended release date (which is currently unknown). So those who actually bought a Rapidstrike two weeks ago are the most fortunate people in Nerf fandom. I’m a bit surprised that they got their Rapidstrike stock so early. I’m not sure how the stores are working over there, perhaps they get their stock less often? Usually in America, it seems like with Walmart and Target, they get their Nerf stock about 3 weeks before a specific release date. Hopefully we see this blaster sooner then later around the world! 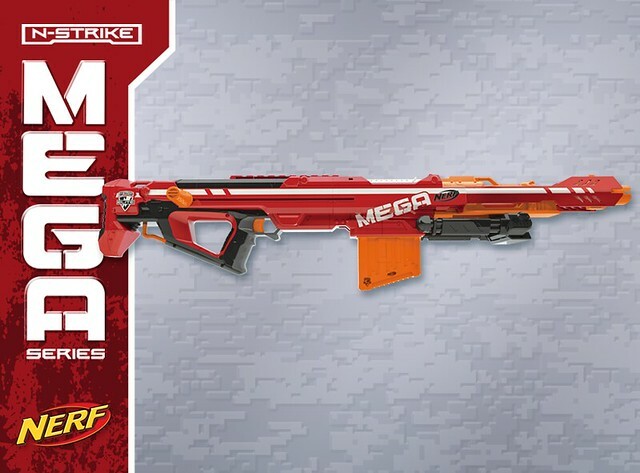 It’s finally officially revealed, Nerf took to Facebook this morning to announce the Mega Centurion blaster. Nerf linked it’s readers to Popular Science for more photos and information on the blaster. If you’ve been following the Nerf blogs and Baidu leaks, there isn’t much new information for you. 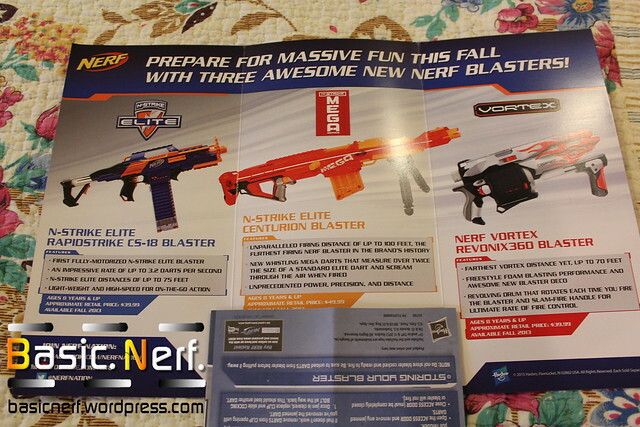 However, the article, and comments left by Nerf on their photo, gave us a few tibits of new information. Only up to about 75 feet overseas? But doesn’t the Elite series already do that for them? I don’t really see the initiative to switch then. That’s a definitively a good thing. I also don’t see why they wouldn’t sell extra mags for the blaster as well. Well, that’s a bit disheartening if that’s the case and it stays that way. I’m sure it’ll make it’s way over there eventually though, Singapore has a good sized Nerf community. 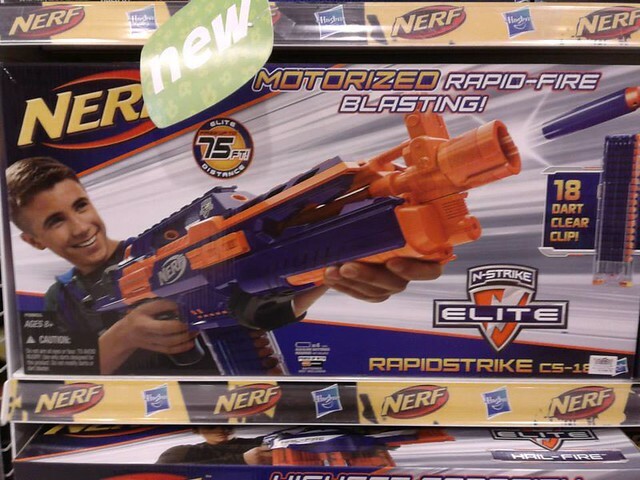 Nerf also keeps wording that this blaster will be released in the Fall. I also talked to my public relations contact, and their pretty much confirming that it’s NOT going to have a specific release date. I was guessing that the Centurion would be the big 9/9 released blaster, but I guess not. Does this mean that the big 9/9 blaster/line hasn’t been leaked or announced yet? Could this mean that we won’t have a special 9/9 release blaster this year? I would love to hear your opinion on this readers.